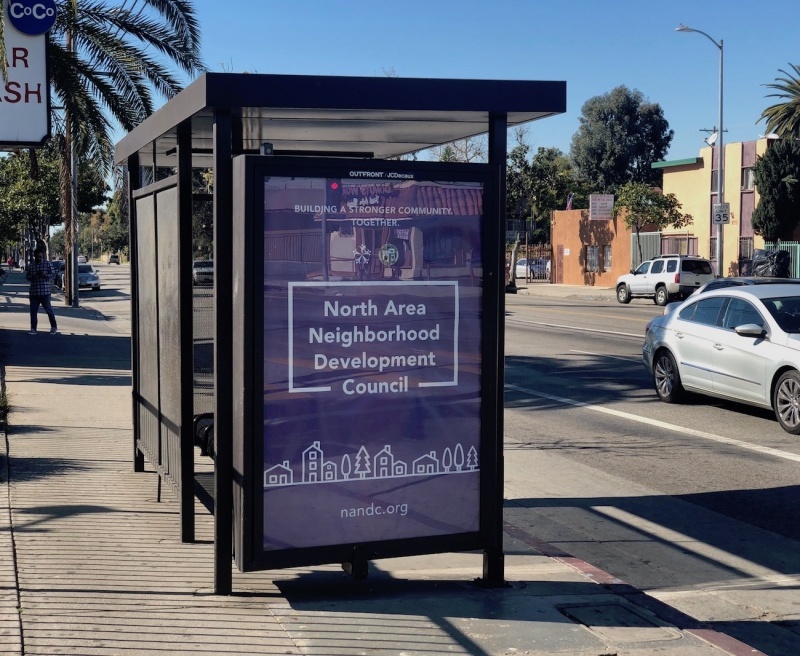 Have you seen NANDC's brand new bus shelter ads? 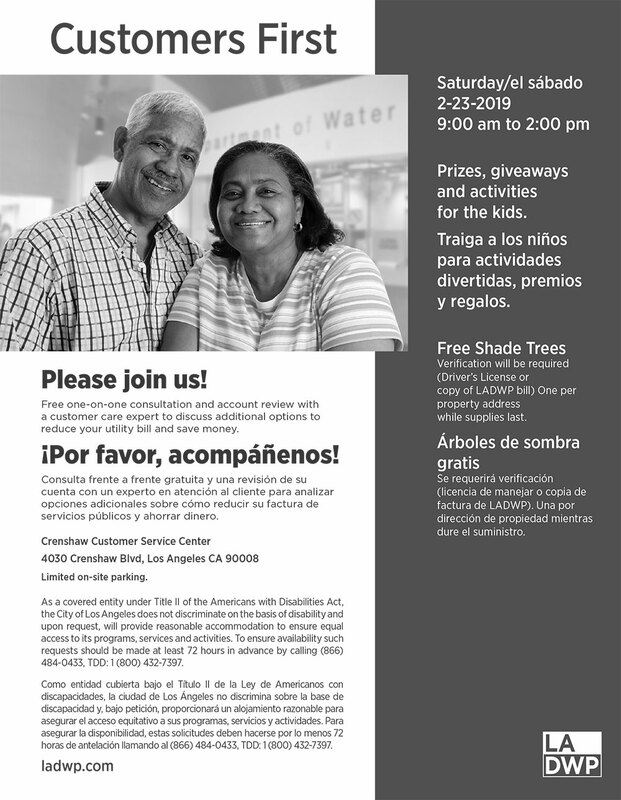 We've installed 10 ads all over our neighborhood that will help with outreach and spread the word about YOUR neighborhood council. 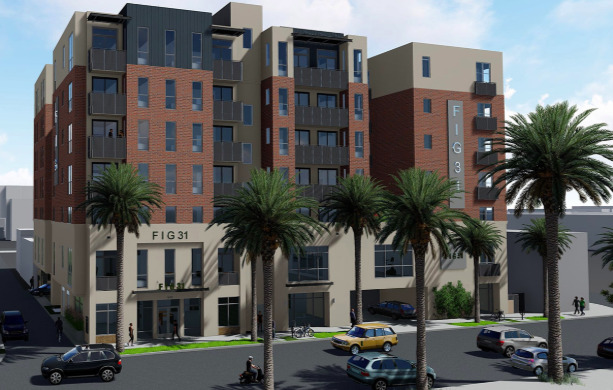 NANDC reviewed the 806 West Adams Champion Development and voted to oppose the project in its current form because of numerous issues. 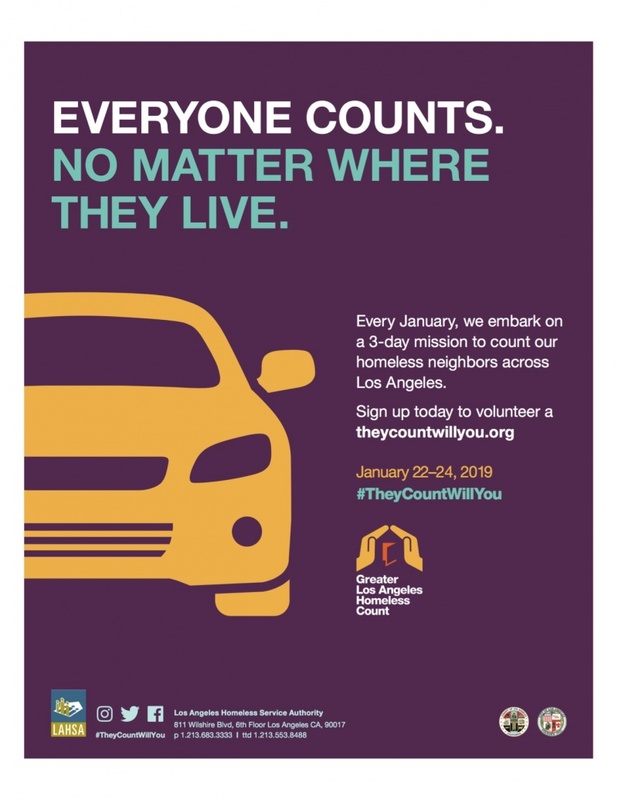 Each year, thousands of people gather throughout Los Angeles County to take part in the Greater Los Angeles Homeless Count. 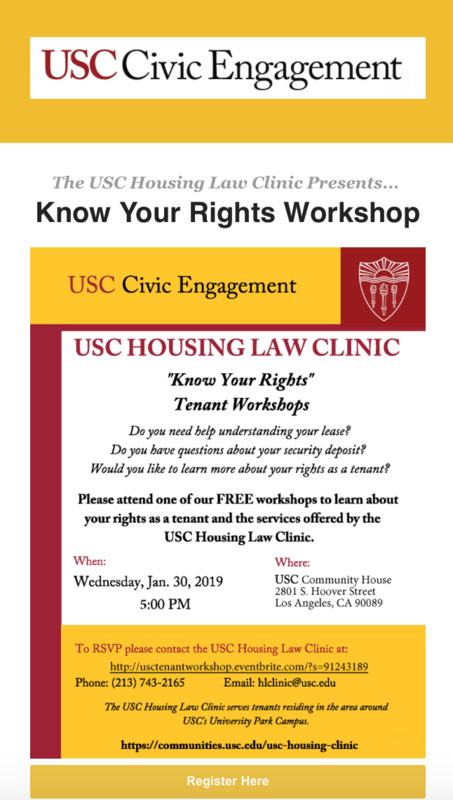 Having information about our homeless neighbors makes life better for all of us. 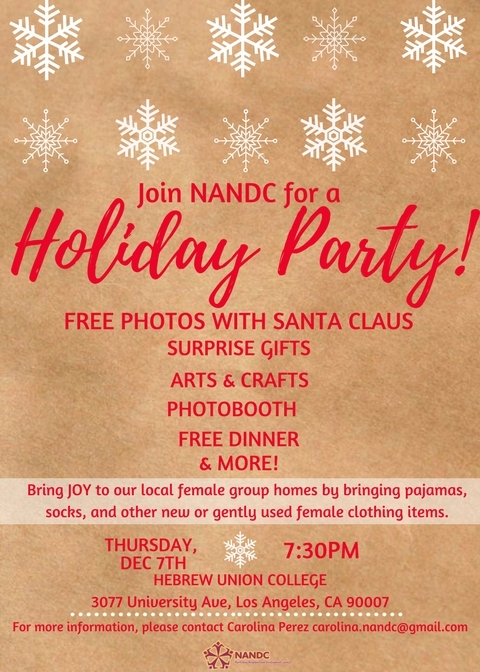 NANDC members are going to count this year, will you? 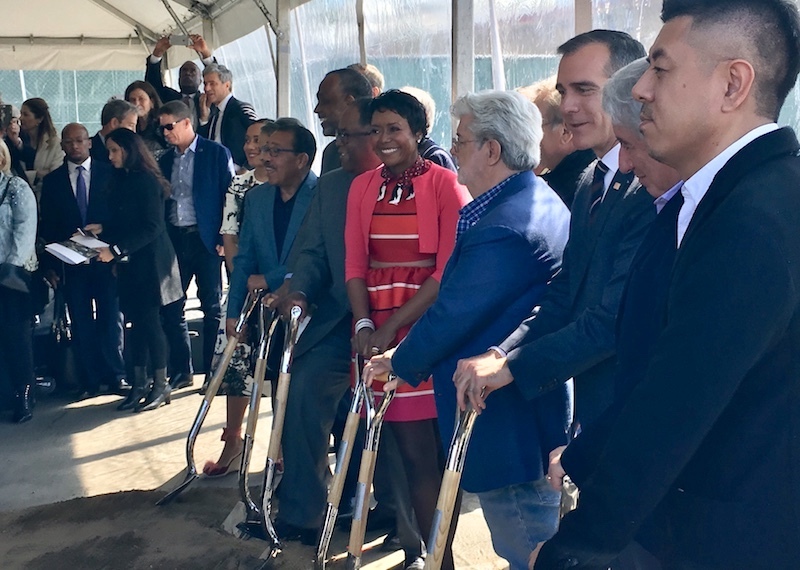 Mayor Eric Garcetti announced the launch of ShakeAlertLA, the nation’s first publicly available earthquake early warning mobile application. The launch fulfilled his 2017 promise to launch the app by the end of 2018. Please vote your level of satisfaction on City Services and those elected to represent your interests. 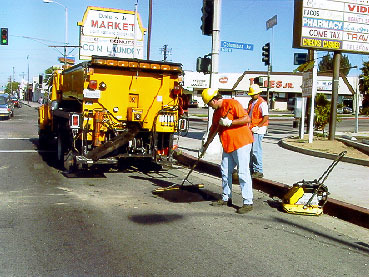 All Angelenos are encourage to rate the City’s services and what you think about elected officials and organizations, those who are supposed to work for you, at http://bit.ly/LAreportcard . 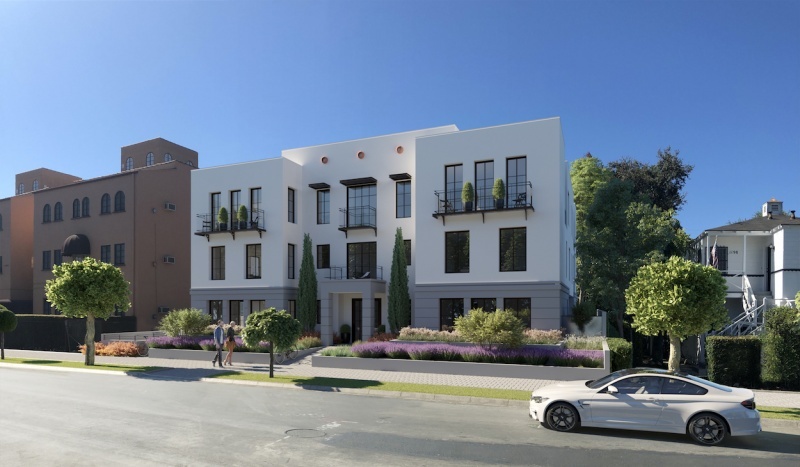 The 1190 West 29th Street development in the NANDC district is a fine example of a design review process that insures new development is compatible with the character of the neighborhood. 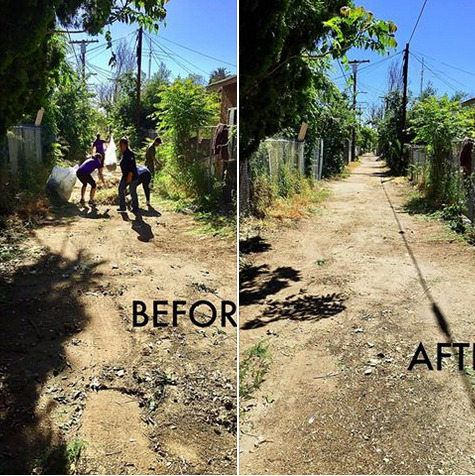 We had an incredibly succesful cleanup this past weekend. 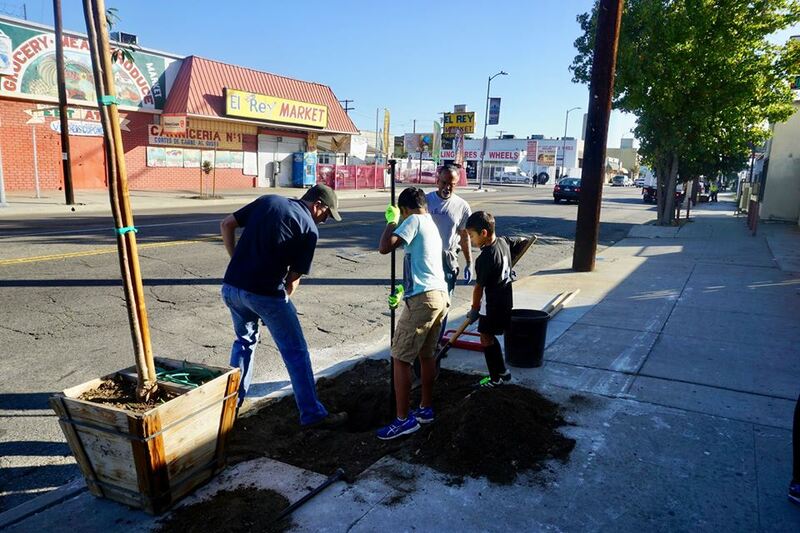 Thanks to everyone who volunteered their time to help clean up an entire one-mile stretch of Jefferson Blvd. - all the way from from Western to Vermont. 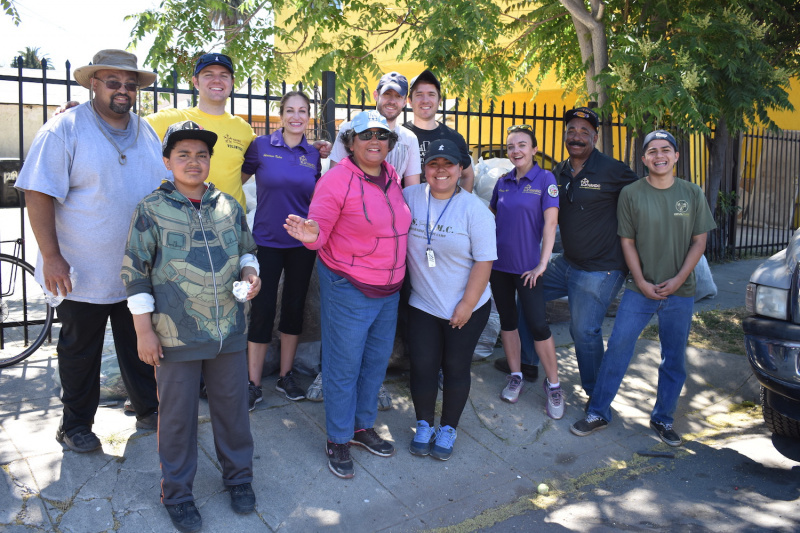 NANDC Board members were invited to visit Sanctuary of HOPE’s soon-to-be opening Bridge Housing site in Area 2 that will serve homeless, foster care, or at-risk youth. 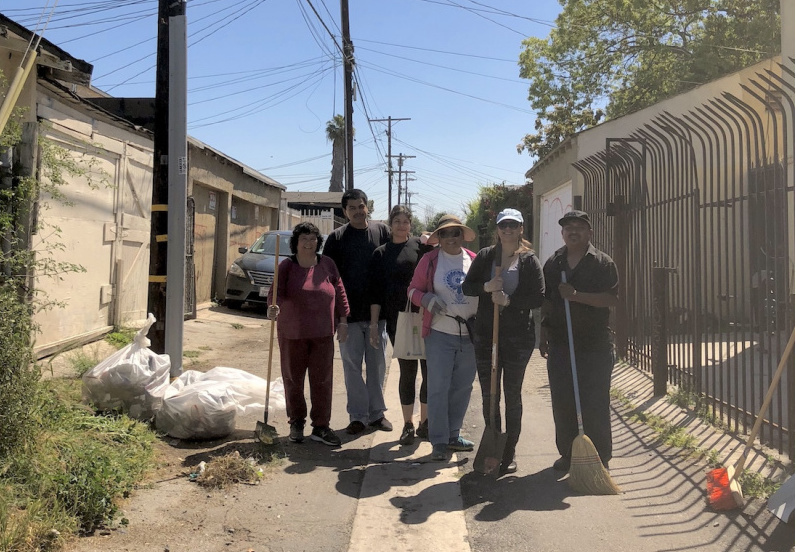 Our next cleanup event will take place along Jefferson Blvd on Saturday, October 6, 2018 from 9am-12pm. 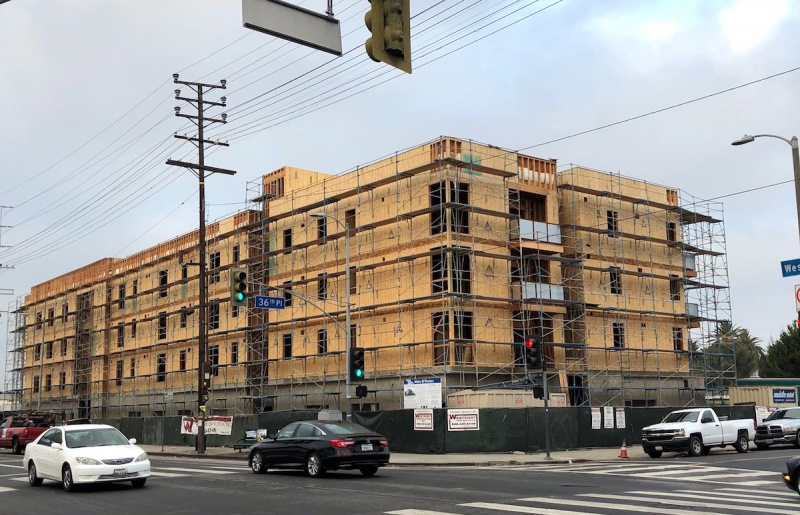 Construction on the four-story affordable housing project called Metro @ Western is well underway. 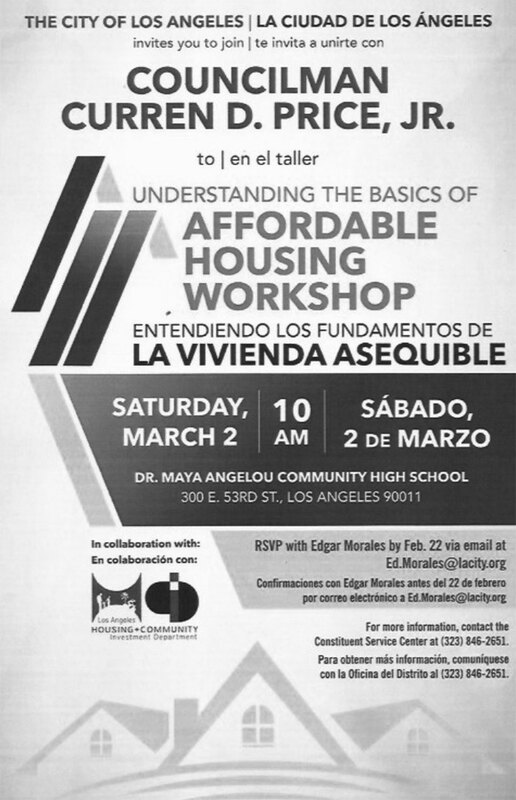 We currently have two vacant roles: Area 1 Represenative and At-Large-Representative. NANDC Stakeholders are encouraged to apply! 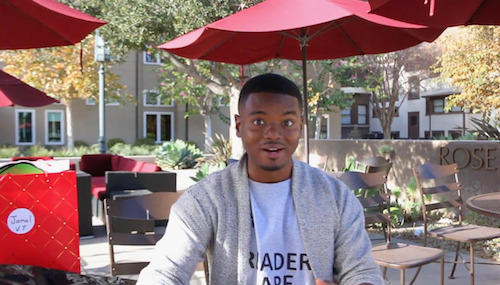 It’s summertime, and you know what that means: movies in the park! 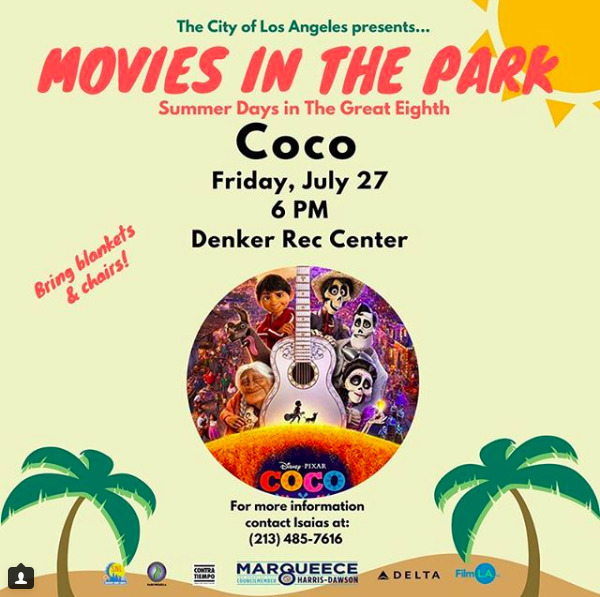 Come to a free screening of COCO July 27 at The Denker Recreation Center! 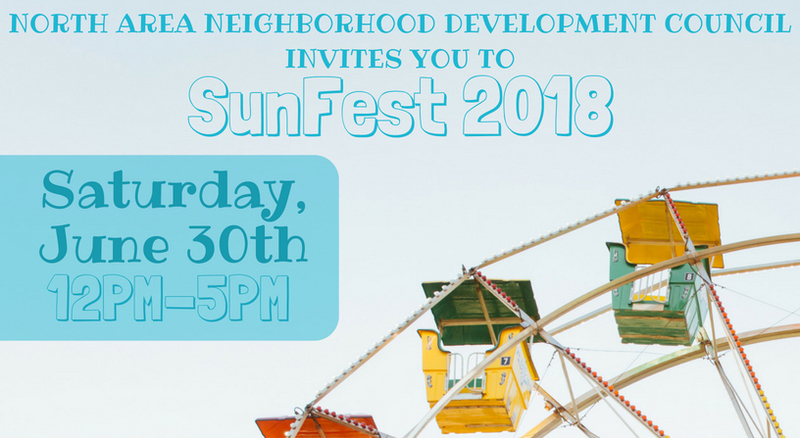 Thank you to everyone who attended SunFest 2018 and helped make our big summer event a major success! 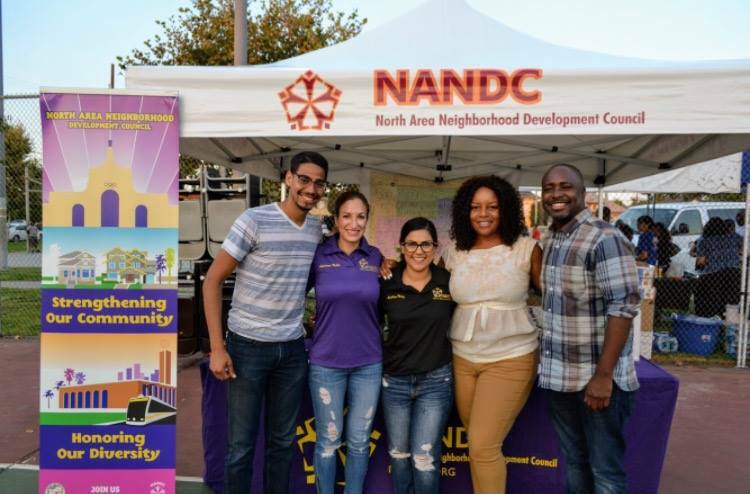 NANDC and the office of Los Angeles City Councilman Marqueece Harris-Dawson partnered for this free event in South LA that featured live music, a ferris wheel, games, entertainment, free food, giveaways and more. 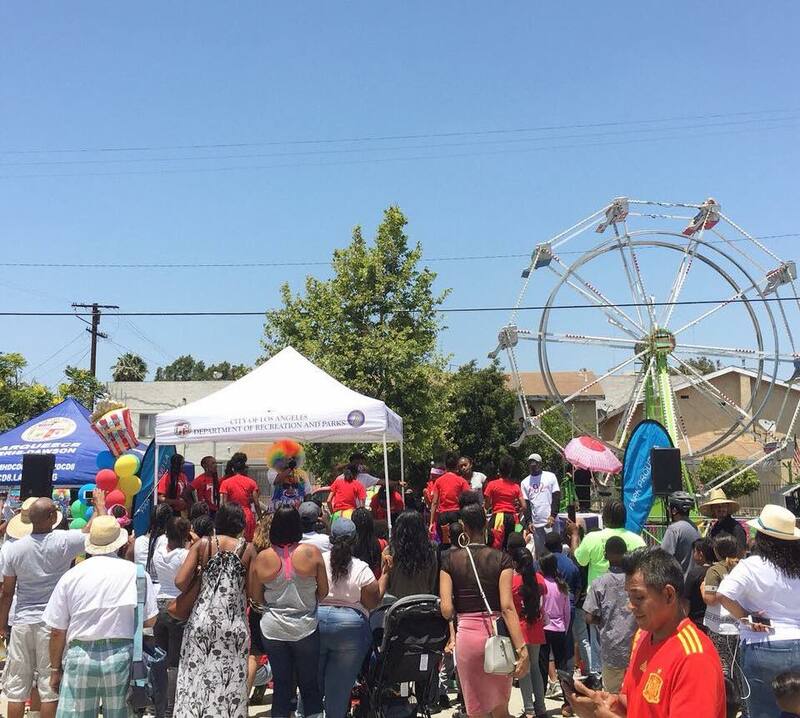 NANDC and the office of Los Angeles City Councilman Marqueece Harris-Dawson will partner for SunFest 2018, a free event in South LA that will bring together the community to kick off the start of summer. 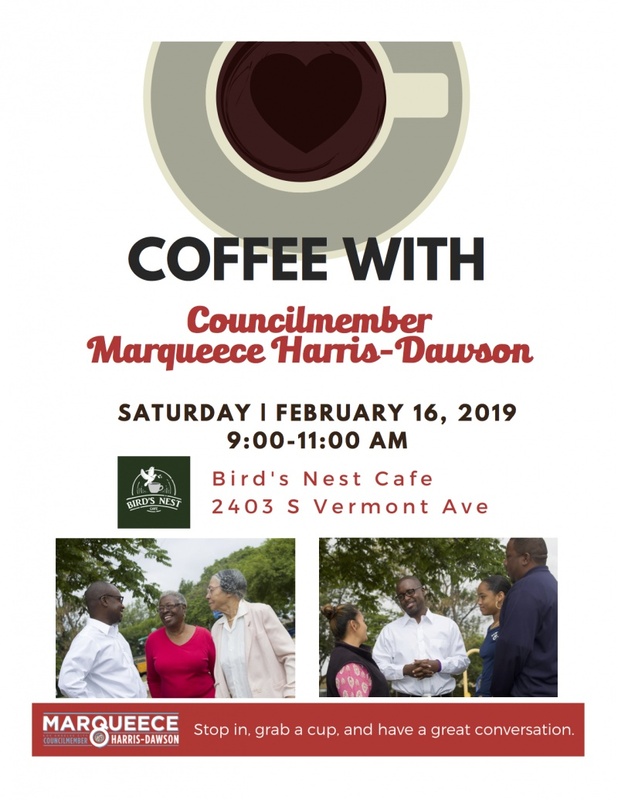 The event will feature live music, rides, games, entertainment, free food, giveaways and more. 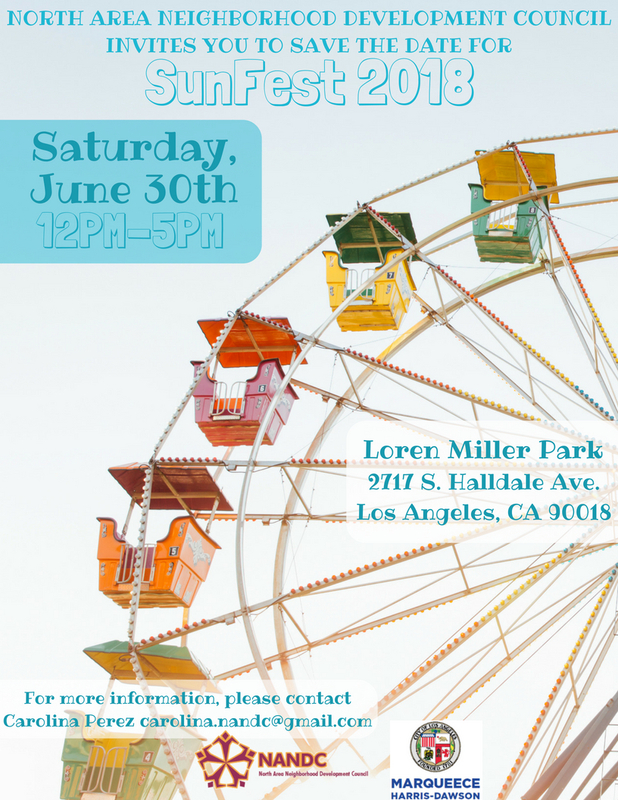 We’re excited to announce NANDC's inaugural SunFest, happening at Loren Miller Park from 12pm-5pm on Saturday, June 30! 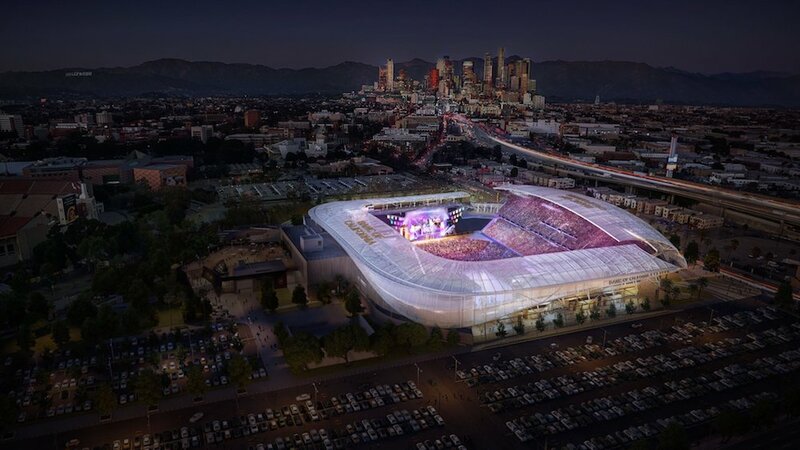 On April 22, 2018, our neighborhood saw the opening of the Banc of California Stadium in Exposition Park, after a total of 17 months of construction. 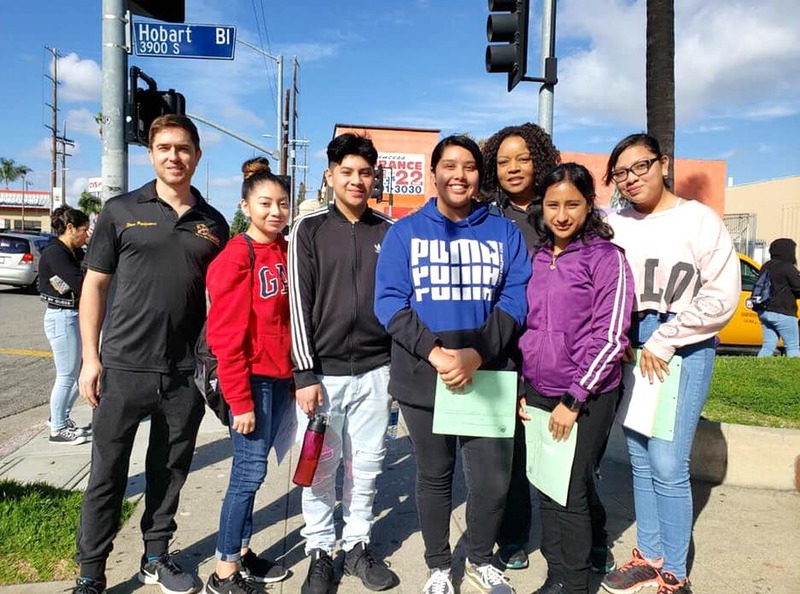 Our community continues to make a difference! 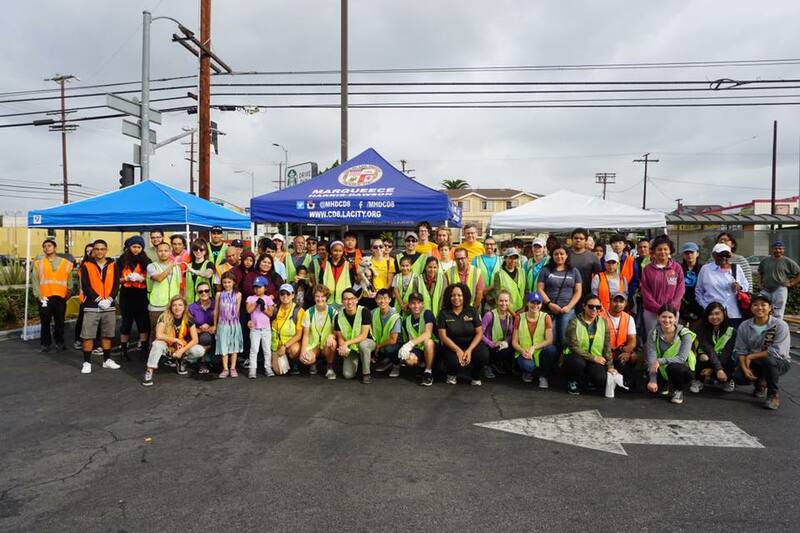 This past weekend, our neighbors got together to help clean up our streets. Check Out NANDC's New Bus Bench Ads! 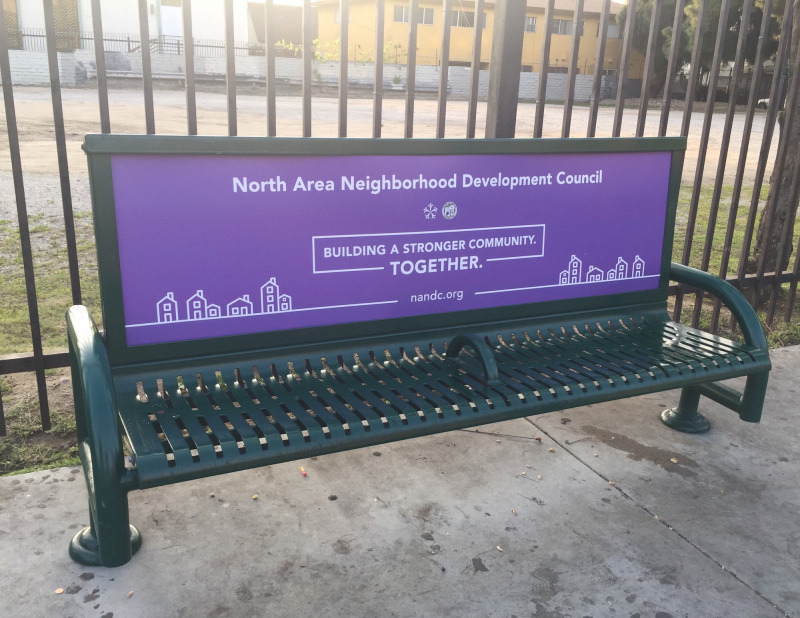 Have you seen our brand new bus bench ads around the neighborhood? 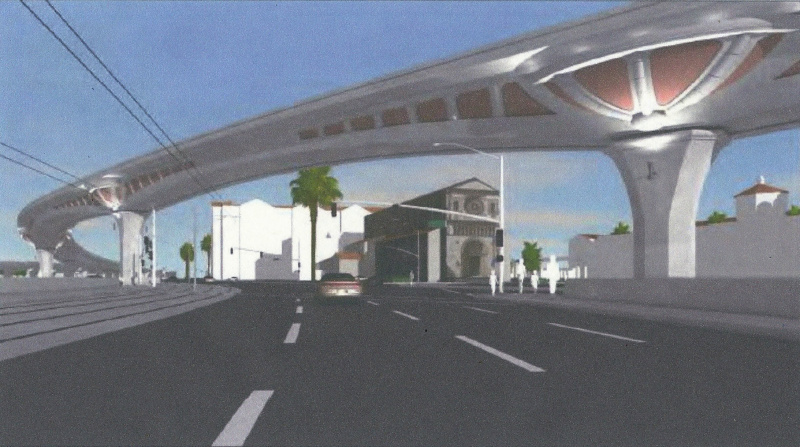 NANDC is opposed to the I-110 HOV/HOT Flyover Connector Project due to its severe and irreparable impacts to not only the historic St. John's Cathedral but to the University Park neighborhood. 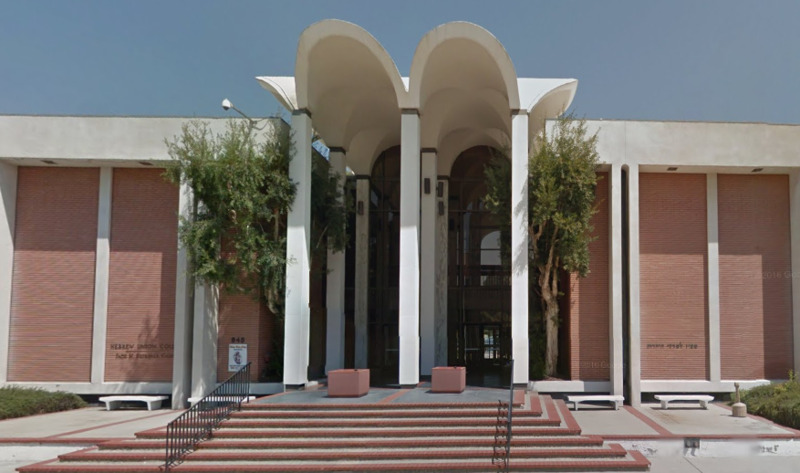 Beginning Thursday, April 5, 2018, our monthly general board meetings will be held at USC Village Community Room. 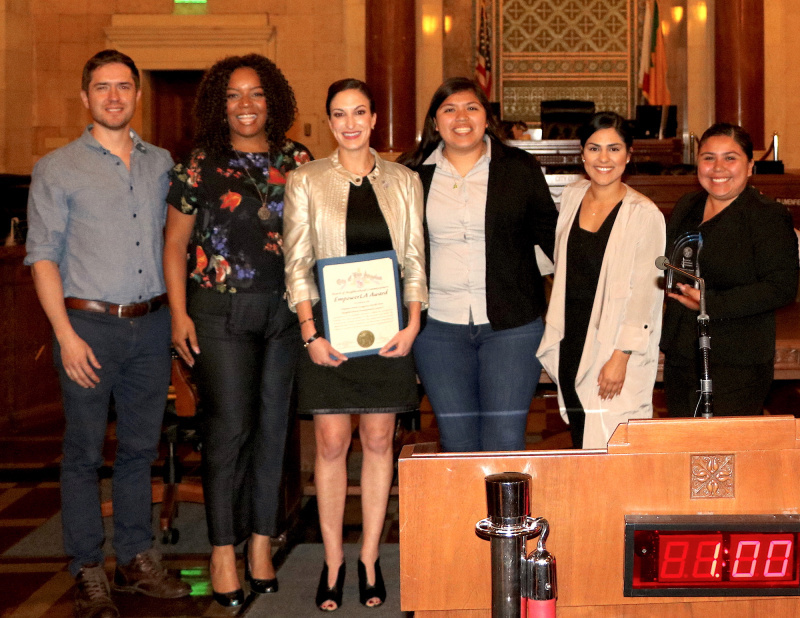 In March, NANDC board members joined 300 other local leaders at LA City Hall for the 2018 EmpowerLA Awards, celebrating Neighborhood Councils across Los Angeles, and where NANDC was honored to win an EmpowerLA Award. 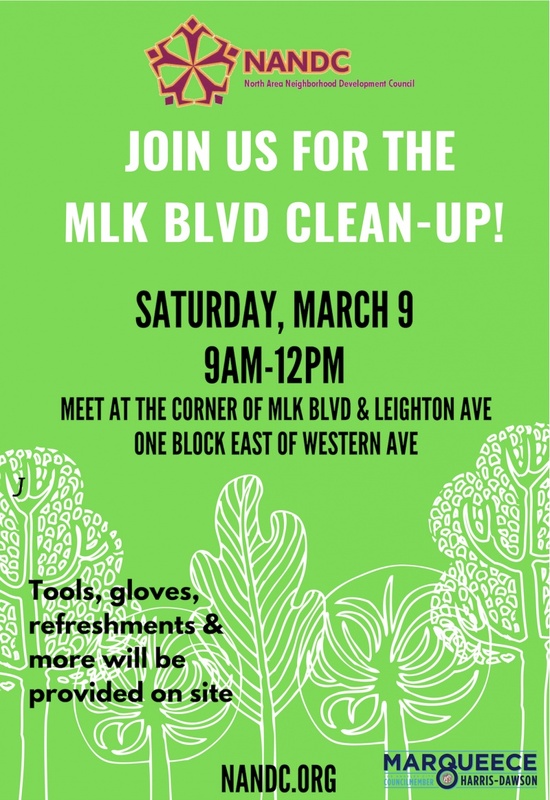 NANDC's next neighborhood clean-up will take place on Saturday, April 21, 2018 at 9:00 am! 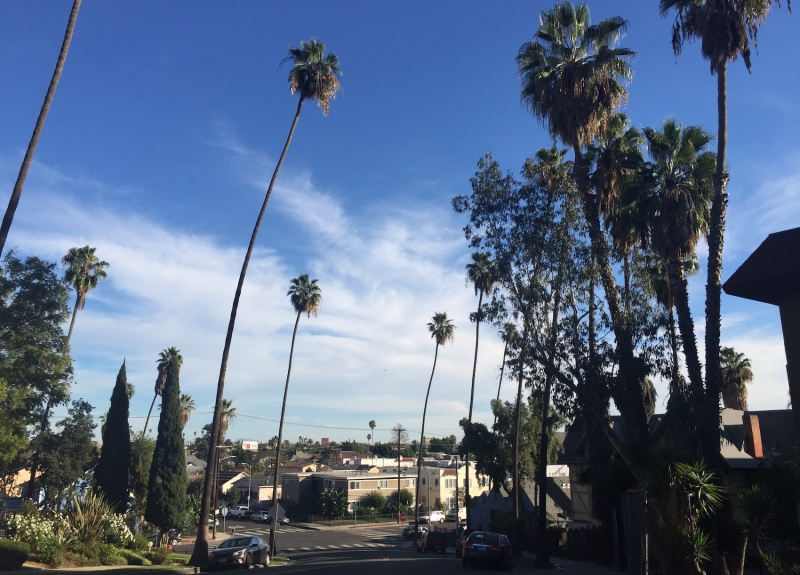 Meet on the corner of Normandie Ave and Exposition Blvd. 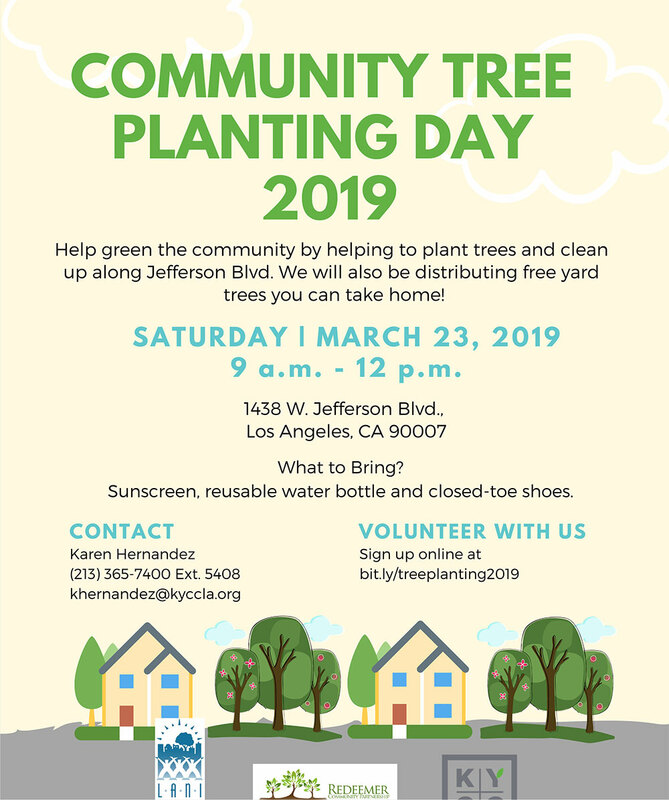 Take pride in your community and make a difference - see you there! 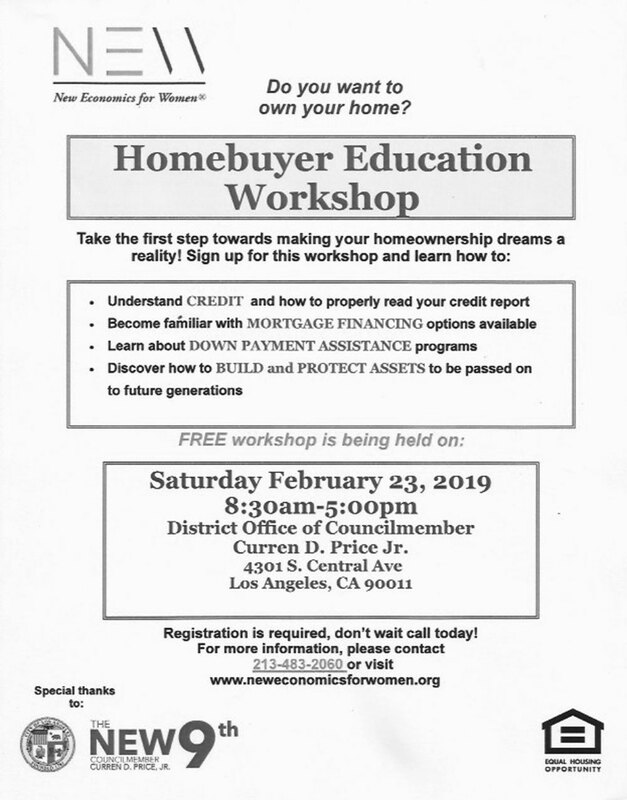 Hathaway Dinwiddie Construction Co will hold an informational session in May on how residents can take part in the construction of the Lucas Museum of Narrative Art in Exposition Park. 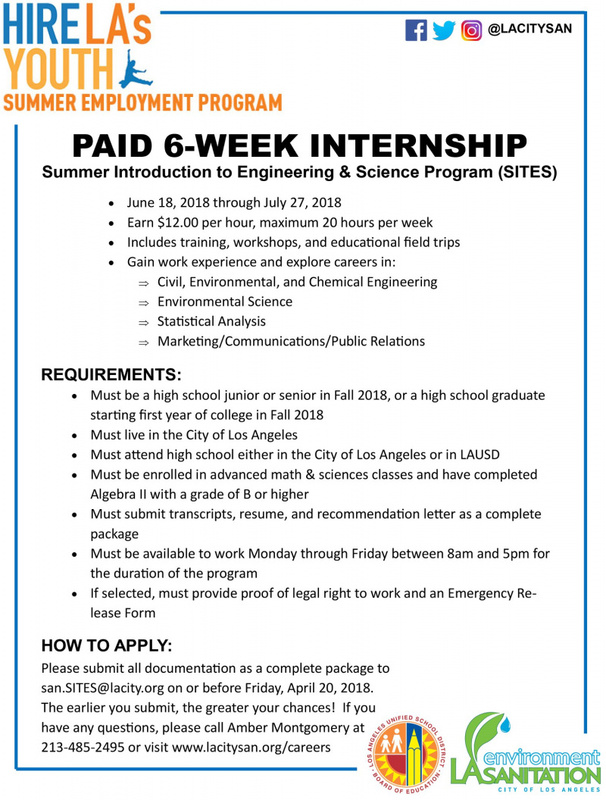 The paid 6-week internship for the Summer Introduction to Engineering & Science Program is now accepting applications. High school juniors or seniors can earn $12.00 per hour, maximum of 20 hours per week during the internship. NANDC reviewed the proposed SB-827 bill and voted to oppose it and provide written objection to adopting a plan which removes land use and planning authority within one half mile of high quality transit from jurisdictions and charter cities. 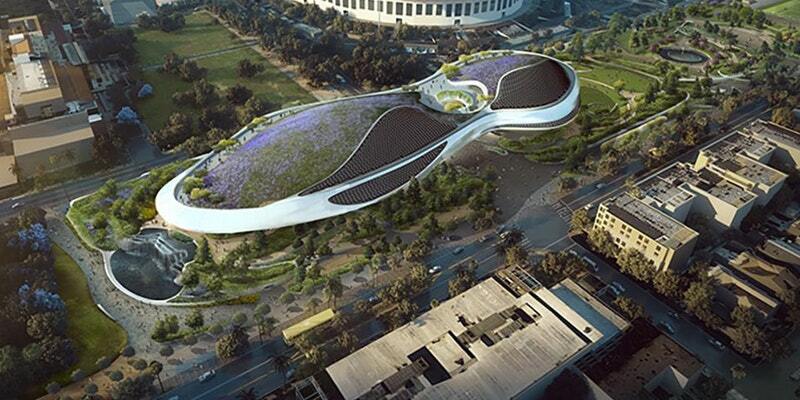 The Lucas Museum of Narrative Art officially broke ground in Exposition Park on Wednesday, March 14, 2018. 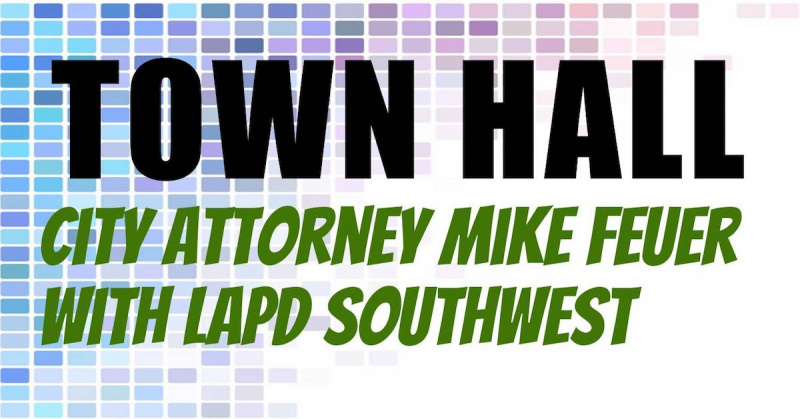 Join LA City Attorney Mike Feuer for a Town Hall with local communities, including those in the NANDC area. In order to be eligible for the board you must be a stakeholder within the NANDC service area. NANDC recently issued a survey to our stakeholders - with the intent to get to know all of the great people who make up our proud community. 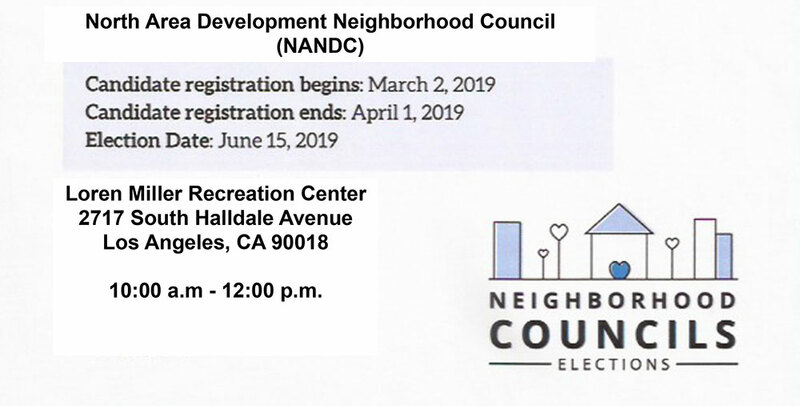 The survey was taken online and in-person at several of our monthly meetings, door-to-door appeals and at NANDC events. 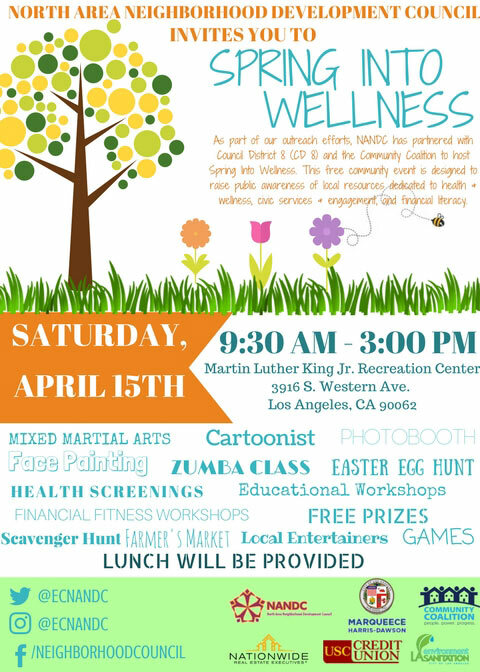 With a oil drill site located right on Jefferson Blvd in the heart of the NANDC district, we believe our community might be interested in attending an event sponsored by STAND-LA. 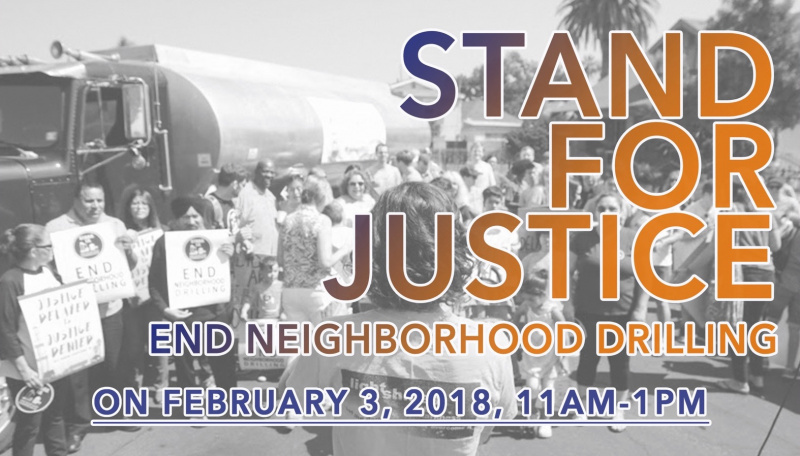 The event, "Stand for Justice," will take place on February 3, 2018. 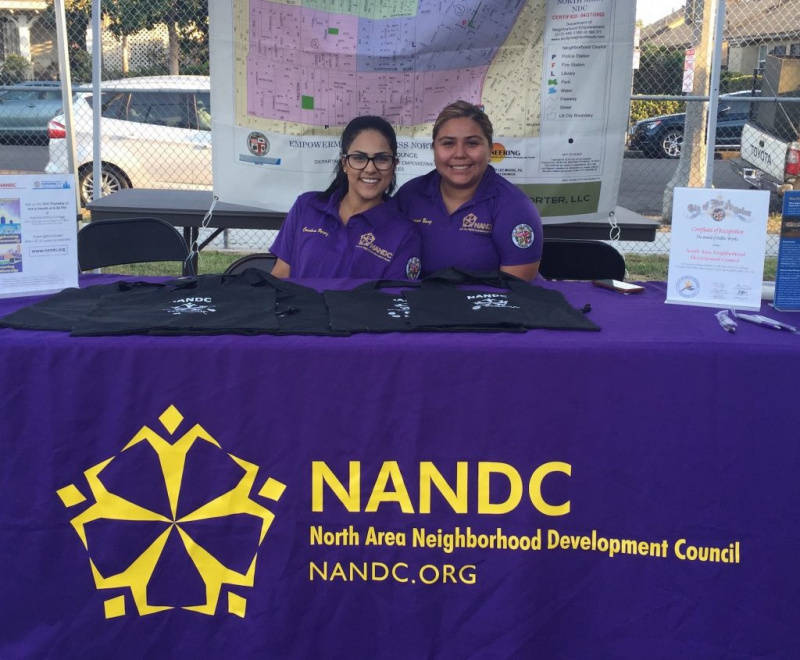 NANDC Board Members celebrated National Night Out against crime on August 1 with the Adams-Normandie Neighborhood Association. 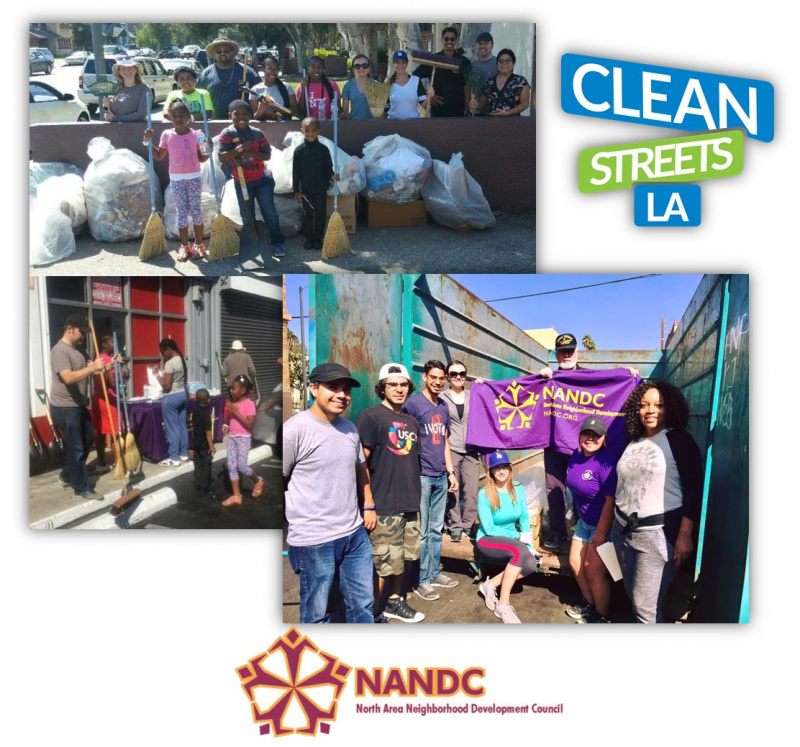 As part of Clean Streets LA, NANDC recently took part in several separate alley clean-ups. 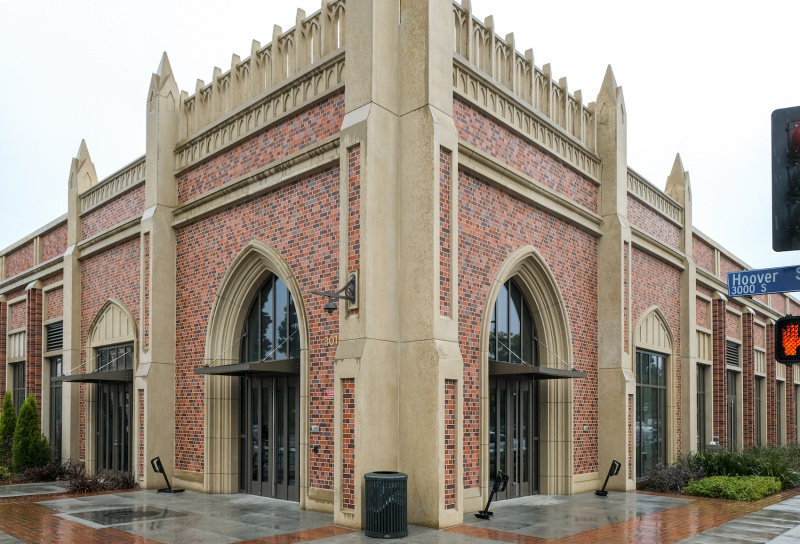 Construction on USC Village is almost complete! 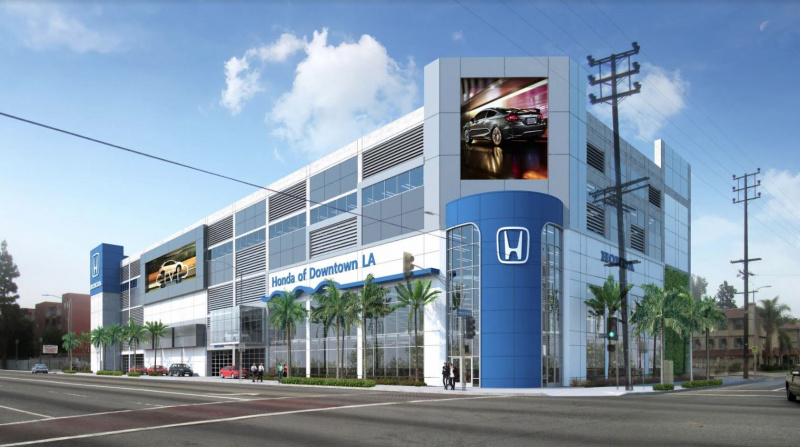 The complex, which will bring many new retail and food establishments to the neighborhood, will officially open to the public on August 16. 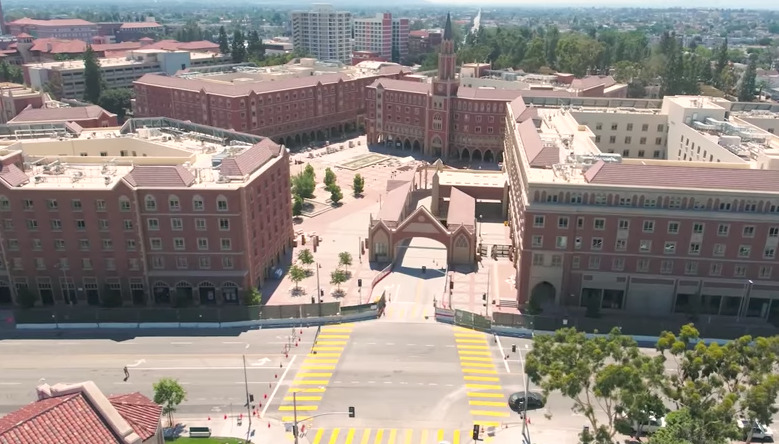 USC has released new aerial footage of the complex. Check out its progress! 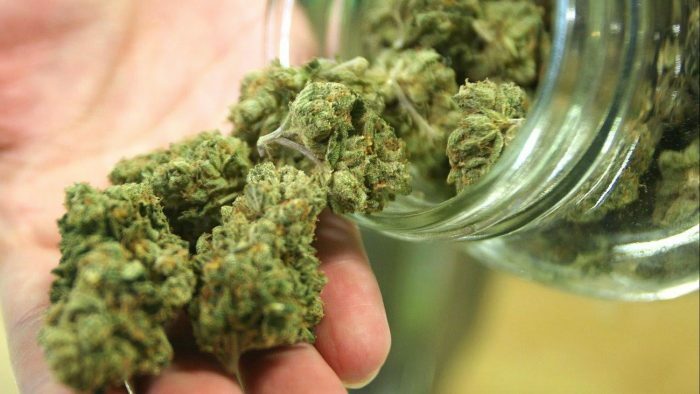 City Council opened a 60 day public comment period June 8 on proposed ordinances regulating production and sale of commercial cannabis. Now is your chance to review the proposals and speak up about the production and sale of cannabis in your neighborhood. Join us in providing feedback on proposed traffic safety options on Western to reduce and eliminate traffic deaths and severe injuries. 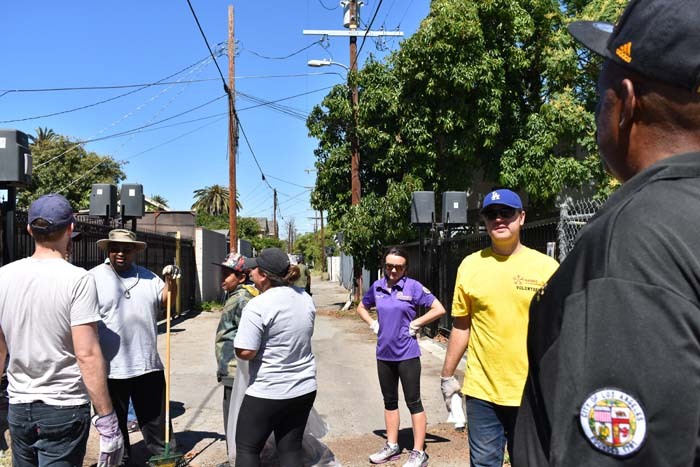 The Bureau of Street Services scheduled a Small Asphalt Repairs (SAR) truck for the Empowerment Congress North Neighborhood Council District to perform small asphalt repairs on ?May 3. Please forward your requests for consideration to [email protected] by April 24. 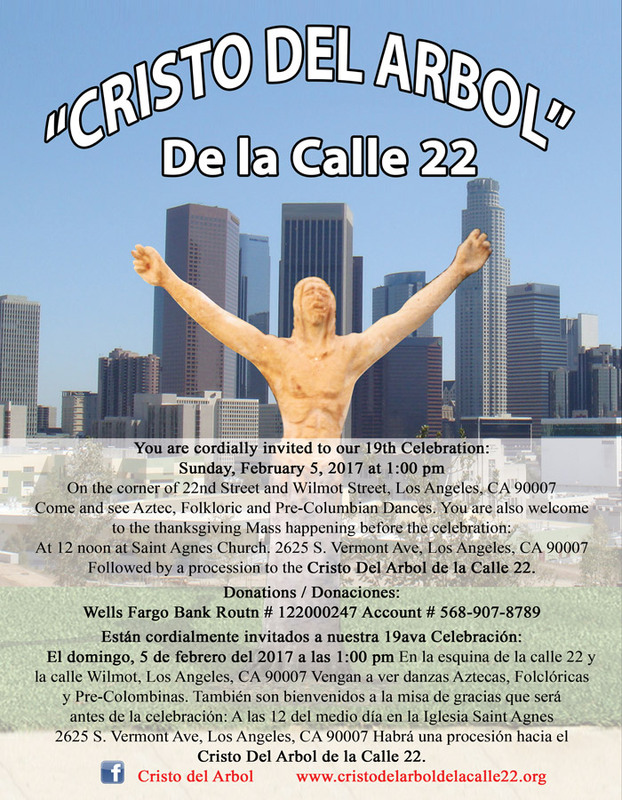 On February 5, NANDC participated in the festivities at the annual festival of the Cristo del Arbol de la Calle 22. 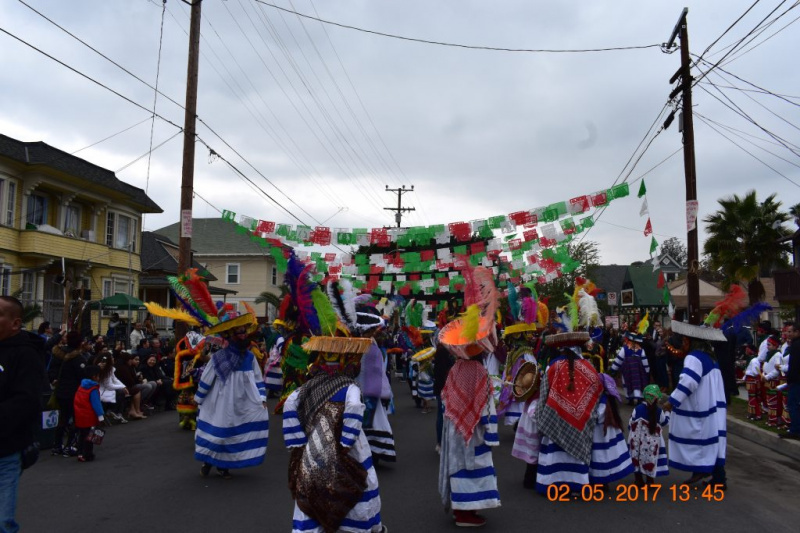 NANDC was one of this year’s sponsors of this annual event, which included a procession and Aztec, Folkloric and Pre-Columbian dances, as well as delicious food! At our Policy Committee meeting on January 24, we thanked Dr. David Tool for his years of service to the community and NANDC. 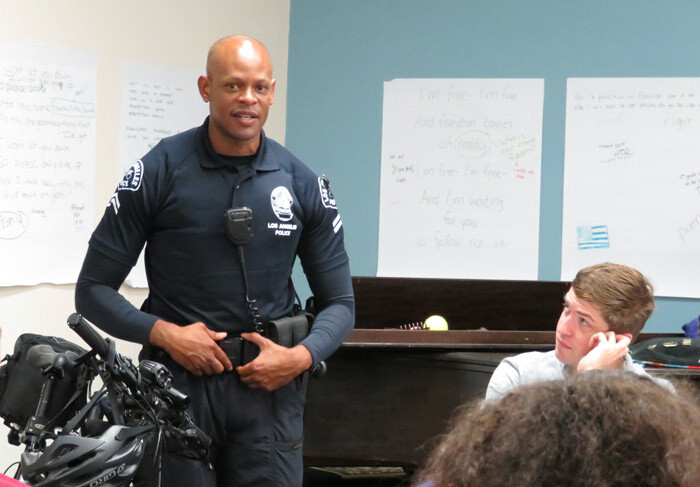 He received a commendation from the City of Los Angeles in appreciation for his service. We will miss him as he moves to be closer to his family. Well done, Dr. Tool! 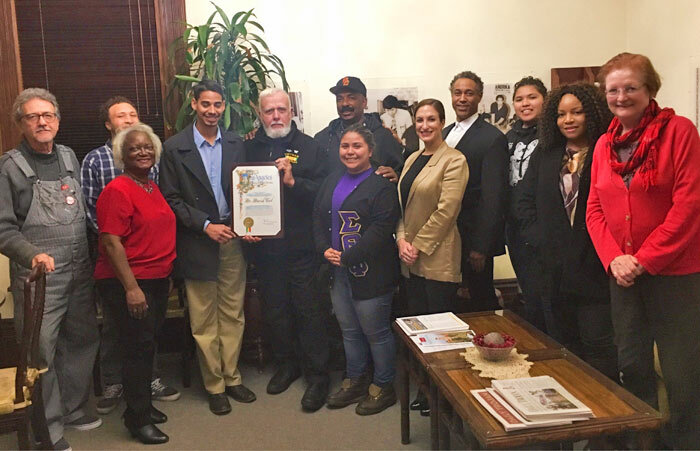 Beginning Thursday, February 2, 2017, our general monthly Board meetings will be at Hebrew Union College, 3077 University Ave, Los Angeles, CA 90007. This will give us and our stakeholders a better venue overall; accessibility, parking, space, acoustics, etc. And the college does not close till 10 PM. 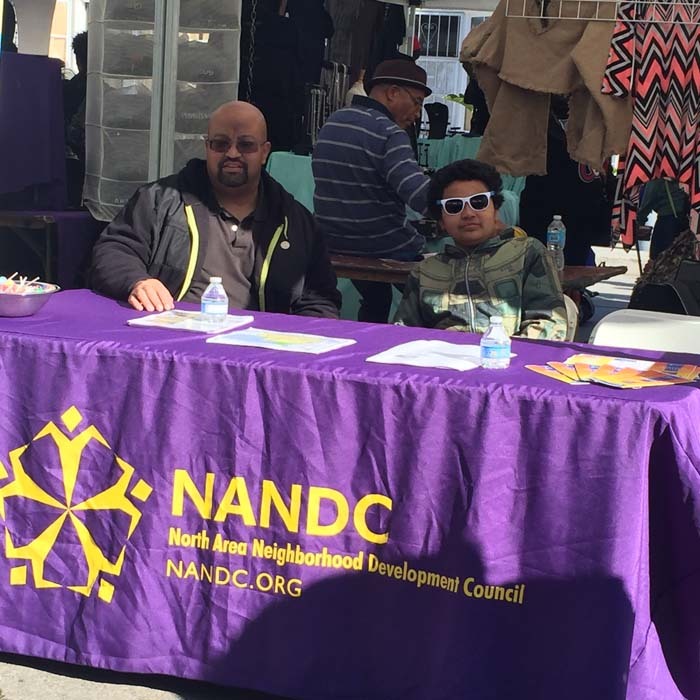 NANDC was on hand for the 2017 MLK Freedom Festival greeting attendees and telling them about how to get involved!